WEIBER burn-in ovens are engineered for applications such as high dissipation forward bias, high-temperature reverse bias, dynamic and static burn-in of IC, RAM, ROM, microprocessors and other semiconductor devices. Integrated Circuits (IC’s) and other electronic devices are burned in at elevated temperatures to stress and exercise the devices under test. The high temperatures force early failure, known as “infant mortality”, at this point rather than later when they are in use in a finished product. This dramatically improves the reliability of the product. During burn-in the temperature rises as the air travels across the chamber due to the heat dissipated by the devices. High volume recirculation fans maintain consistent, uniform temperatures. Temperature range up to 300OC. 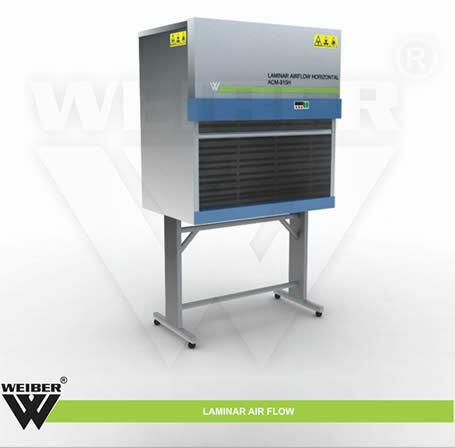 Horizontal airflow provides uniform atmosphere flow across horizontally positioned loads. 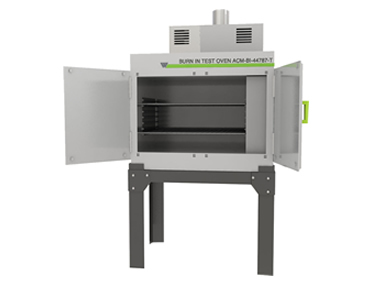 WEIBER BURN IN OVENS are double walled convection heated and cooled units. Outer body are constructed out of thick PCRC, pre coated corrosion resistant GI sheet duly pre-treated with primers and rust proofing and painted with long lasting stove enamel or elegantly powder coated. The inner construction is of stainless steel sheet of SS-304 grade). The gap between the walls is filled high grade mineral glass wool, which ensures maximum thermal efficiency in our ovens. The temperatureof Ambient to 300°C is maintained in the oven which is controlled by nanotechnology based microprocessor controller (HMI+PLC as an option).